Commercial plumbing varies greatly from building to building. Commercial plumbing can be as simple as multiple store fronts with 1 bathroom each to Hospitals and factories with thousands of fixtures. The work to be done with commercial plumbing can be preventative maintenance or emergency repair, the networks of plumbing lines can be overhead, in the walls or underground. Commercial plumbing generally calls for much bigger water and drain lines due to the capacities of the buildings. Bigger water heaters, pressure boosting pumps and backflow preventers are common to commercial plumbing. Leaks and clogged drains happen in commercial plumbing much the same way as residential plumbing. Settling of drain lines over time can contribute to clogged lines. Aging water lines develop small leaks due to the condition of the water. Water heaters develop problems over time like leaking or electrical failure. Backflow preventers need to have gaskets replaced to seal properly and pass their yearly inspections. Booster pumps need to have impellers changed periodically to maintain proper water pressure. In order to fix all the different issues plumbers must be well versed in many different aspects of commercial plumbing. 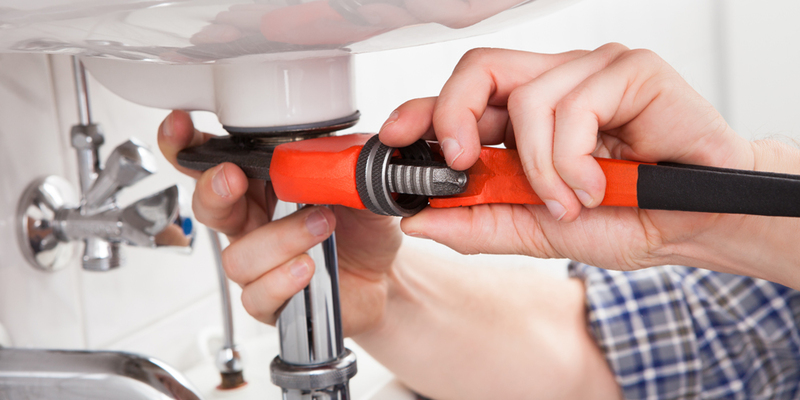 Most of the repairs are on a leak by leak basis as plumbing systems start to fail. Preventative maintenance will change out larger areas of plumbing trying to avoid costly or critical shutdowns during peak hours of operation. Prevention starts by having a dedicated program of monitoring all accessible piping and fixtures. Making repairs or replacing particular sections of the system. Commercial plumbing systems or large facilities normally have a maintenance staff who handle the smaller repairs and supervise the plumbing vendors on the larger issues.